Happy New Year and welcome to the Winter 2018 edition of your alumni newsletter. As a recent graduate of Brookes you are joining a large network of alumni - many of whom can support your career development. You are also entitled to free careers support for the first three years after graduation. Our next Brookes in the City event will take place on 19 April. It follows the success of our first event in November 2017. Women and Innovation in Business, a panel debate, will be held at the Malmaison, Charterhouse Square, London between 6pm and 8pm. Further information on how to register for the event will be sent in the coming weeks. Class of 2013 Music alumni visited the John Henry Brookes Building in November. Pete Long, Jenny Shepherd, Phoebe Yates, Jon Yates, Anthony Wilson and Georgie Maughan (pictured above at another stop in their reunion, Winter Wonderland London) met with alumni officers for the tour. For Phoebe and Jon it was a transatlantic reunion with their former classmates - the married couple live in the USA. Let us know if you hold an alumni reunion... or an alumni wedding! Jason Bruges '94 provided a stunning climax to Hull’s year as City of Culture. Where Do We Go From Here? was a striking multi-site piece with over 20 repurposed industrial robot arms, some over six metres high. Congratulations to Kathy Hinde '08 on winning a 2017 British Composer Award in December. Kathy won the Sonic Art category for her light and sound installation, Luminous Birds, which has delighted the general public and art lovers alike. Devarajan Govindaswamy '15 is the new chapter leader in Chennai, India. He is keen to strengthen links with Brookes and promote the University's brand. See the events section below for information on the the forthcoming alumni events in New Delhi, Chennai and Mumbai. Congratulations to Nachamada Geoffrey '12, finalist of the Tusk Award for Conservation in Africa, 2017. Nacha’s leadership of the rangers in Yankari National Park, Nigeria has led to a significant reduction in elephant poaching in the park. George Owoyesigire '07 is pioneering a new approach to conservation that benefits bees, elephants and people. George founded the Bee Keeping Project, which keeps elephants away from farmland through the use of a 'fence' of bee hives, in Kibale National Park, Uganda in 2013. It is showing some very promising results for both wildlife and people. Think Human Photography Competition - enter up to four photos on the theme of identity, empowerment, provocation or empathy. Entry is free and first prize in the alumni category is £50. Closing date: 31 March. Oxford Brookes Enterprise Support Awards - you can apply soon. Awards are given for Social Enterprise, Social Innovation or Business Start up programmes. Closing date: 28 February. Brookes Connections - our new Alumni E-mentoring platform goes live at the end of this month. As an alumnus, you will be able to sign onto the platform and e-network with students through ‘Ask a Question’, or browse and message other alumni members. If you are looking to benefit from being a mentor, you can undertake a short training session aligned with the ILM Coaching and Mentoring qualification (level two), receive a certificate of completion and mentor a student on our 10-week scheme. If you have already registered interest, an email with instructions to sign up will be sent to you very soon! CENDEP - our Centre for Development and Emergency Practice trains passionate and dedicated students. They embark on careers providing sustainable humanitarian and development support to communities facing conflict, natural disasters and poverty. Business School Webinars Are you interested in studying a postgraduate course in Marketing, International Events Management, Finance or HR? The Business School is running short online information sessions (webinars) during February. Tell us your story We'd love to hear from you about your successes, adventures, challenges and more since graduating from Brookes. Is your career ‘alternative’? Help students understand what different careers entail by being interviewed by final year marketing student and Student Impact Fund project leader Mona-Katharina El-Saytar and featured on her modern careers podcast. Alumni events in New Delhi, Chennai and Mumbai - hosted by Pro Vice Chancellor Paul Inman and Martina Adamcikova, External Relations. Antonia Bright, national spokesperson of the Movement for Justice (MFJ), will facilitate a conversation with LGBT+ refugees about their experience of the asylum system. A day full of amazing science and a chance to learn new things about the world around you. Enjoy hands-on activities, and meet Brookes staff and students. No need to book... just turn up! Especially recommended for children aged 5-12. 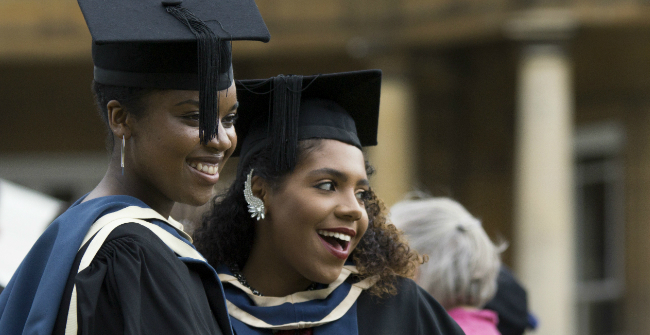 Have you considered returning to Brookes for a Master’s degree? By studying for a postgraduate degree you can further your career, deepen your learning or move in a completely new direction. We offer a 10% discount on postgraduate degree fees for our alumni, which also extends to friends and family members. Tea Colaianni, Non-Executive Director of Mothercare, will discuss the most pressing issues facing women in business with Oxford Brookes Professor Simonetta Manfredi. Join us for the 16th Oxford Human Rights Festival at Brookes. Highlights include the Documentary Club's screening of City of Joy, a talk by Alexander Norman from the Dalai Lama Centre for Compassion and a live performance of Borderline, a satire of the Calais Jungle devised and performed by an ensemble of European and refugee artists. Invites with full details will be sent to alumni in the USA and China/Hong Kong very soon! Oxford Brookes Venues offers a range of rooms, lecture theatres and event space providing a modern venue to meet, train and teach. As Oxford Brookes Alumni, we are delighted to offer you 20% off all room hire, including overnight accommodation when booked through the Oxford Brookes Venues website. Simply use the code AlumniOBV when making an enquiry or booking. Is this the best email to contact you on? Have we got your current details? Check we have the correct information.